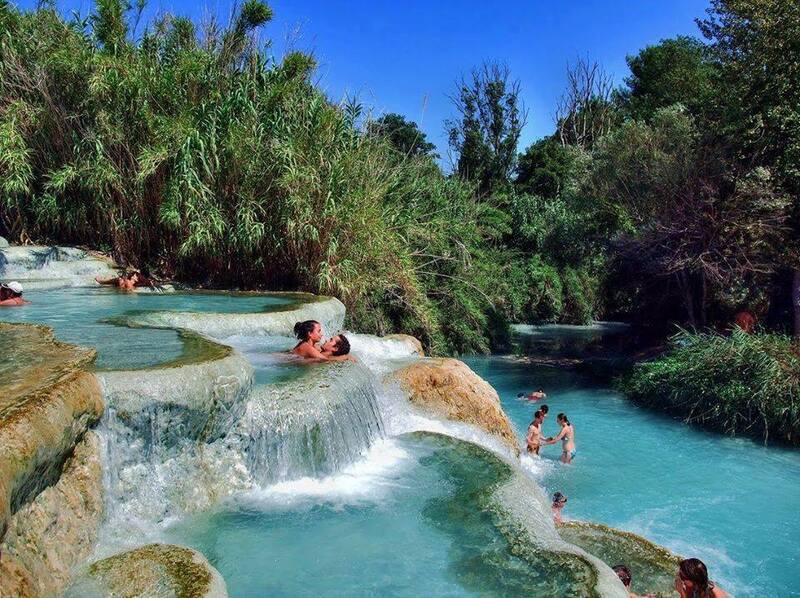 The hot tub to natural saturnia, Italy. It lies about 23 miles northeast of Orbetello and the coast. Near the village, 800 litres per second of sulphurous water at 37 °C gushes over a waterfall and down into a cascade of natural pools formed by the deposition of calcareous rock from evaporation of the water. 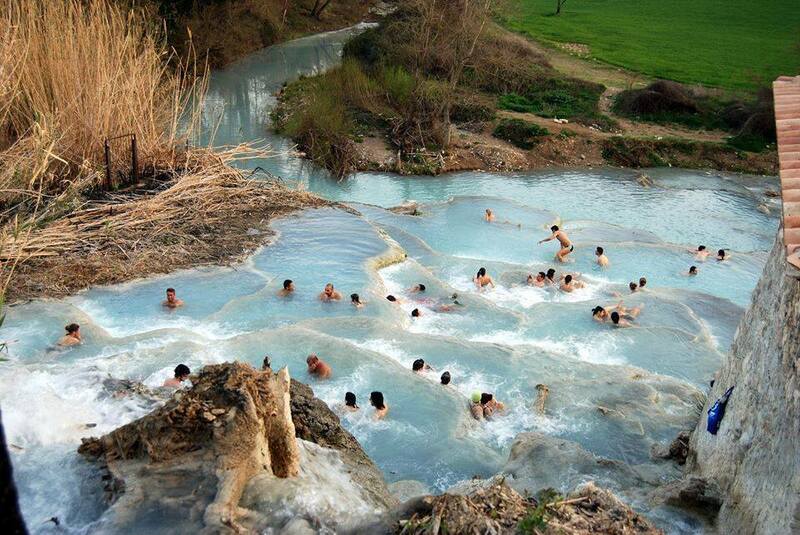 Saturnia takes its name from the Roman god Saturn (us). Legend has it that he grew tired of the constant wars of humans, and sent a thunderbolt to earth that created a magic spring of warm sulphurous water which would pacify mankind. Dionysius of Halicarnassus lists Saturnia as one of the towns first occupied by the Pelasgi and then by the Etruscan civilization. A Roman colony arrived in 183 BC, but little is known about it other than the fact that it was a prefecture. There are still remains of the city walls, in the polygonal style, which contain Roman gateways. Roman remains have also been discovered within the town, and remains of tombs outside. These tombs were originally covered by tumuli, which have now disappeared, so that George Dennis, author of Cities and Cemeteries of Etruria, mistook them for megalithic remains. In 1300, Saturnia became the hideout of outlaws and was razed to the ground by the Sienese. 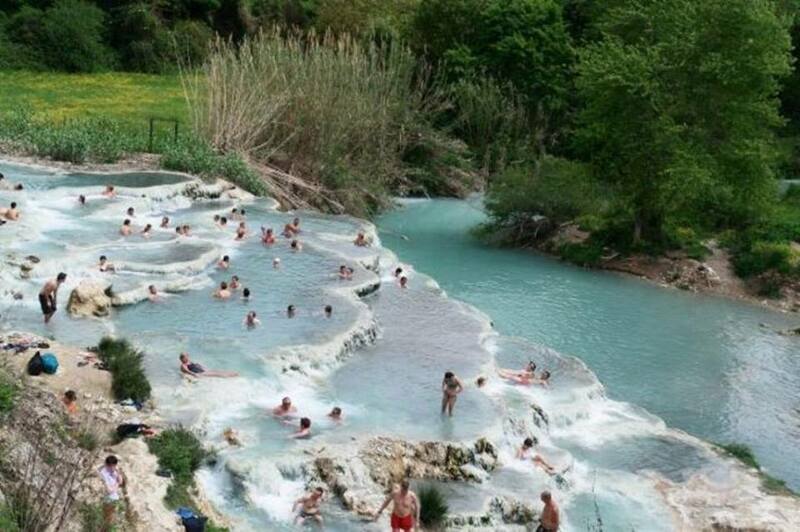 Forgotten for several centuries, Saturnia was rediscovered in the late 19th century when the land around the spring was drained and a spa built. Thousands of visitors come to bathe in the waters to this day.